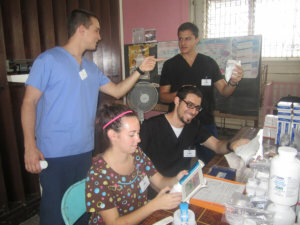 HERO – Guyana is the domestic arm of the U.S.-based, not-for-profit Health and Educational Relief (HERO). Registered under the Friendly Societies Act of Guyana, the local affiliate is headquartered in the heart of the capital city, Georgetown, and governed by a highly motivated team of management, medical and administrative experts. The mission of HERO – Guyana is to improve health, educational and economic outcomes in local communities through better access to primary and preventative health care, public education and related initiatives. In conjunction with HERO- USA, the organization also facilitates the effective and efficient delivery of services to communities of need in Guyana through our annual medical, educational, and other humanitarian missions. To sustain its activities, HERO – Guyana garners funds through donations, grant funding opportunities and various fundraising activities. To become a member, or to otherwise support our efforts and obtain additional information, HERO – Guyana may be contacted via email at heroguyana@gmail.com or by telephone at +(592) 223-8283.